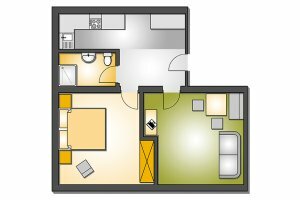 Spacious and convenient holiday apartments in the center of Oberstdorf with high-class interior for up to 4 peoeple. Bright rooms situated in the souterrain/ basement. 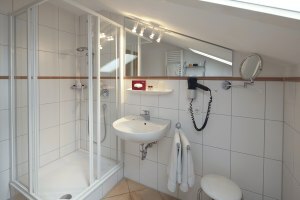 The apartments are a true bargain and with 50 m² and 2 rooms for up to 4 people. The category D apartments are a great deal and are already bookable starting at € 55,- per night with an occupancy of 2 people. Please name your wishes like your desired travel period and the number of people (adults and children) and special features like travelling with baby or a dog. Click on the button "Submit". When the inquiry form has been correctly sent, you will find a corresponding text for your confirmation.